A banned driver who got behind the wheel claimed he thought the disqualification was over, a court head. Shopkeeper Robert Khan told a probation officer he didn't think what he did was that bad because his driving had been okay. He also said he couldn't see the point of having a driving licence. 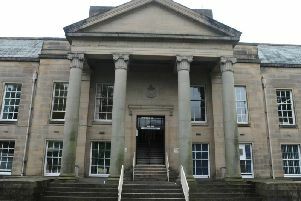 Burnley magistrates were told how Khan, who has been to Borstal, was caught on Park Avenue in Barnoldswick on June 13th. He had been ordered off the road for three years after being convicted of drink-driving in 2016. Probation officer Mr Ben Fryer, who interviewed the defendant, said: "He thought the ban had expired. He tells me he has never driven the car until this point in the day in question." Khan had received a telephone call from his sister, saying there was a leak in her house, it was beginning to flood and she needed help. The officer continued: "He panicked, he got in the car and he drove there. "He tells me it wasn't that bad because his driving was okay. He didn't drive fast and, in his opinion, it was safe to drive." The officer said Khan's girlfriend would drive the vehicle, but he had a set of keys at his shop. Mr Fryer added the defendant at first said he "can't see the point of having a driving licence," but then backed off from that and understood a person should have one. The defendant, of Victoria Road, Earby, admitted driving a BMW while disqualified and having no insurance. He was given a 12-month community order, with a four-week, 9pm to 7am curfew and a probation programme. Khan was banned for 23 months.